Please note that from Thursday 18th April 5 pm local time until Tuesday 23rd April 8 am local time our offices will be offering limited service to deal with any urgent customer issues and can still be contacted via telephone on +44 (0) 1460 270200. IQXT-350 series is a standard TCXO whilst the IQXT-351 series version offers full VCTCXO functionality. 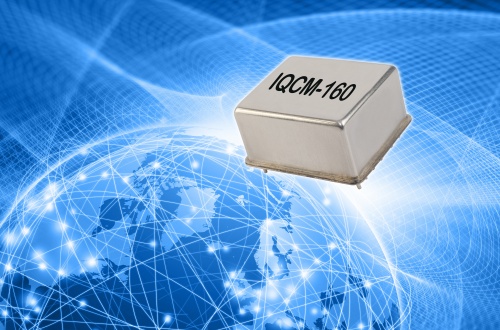 IQD is a global authorised distributor for Statek Corporation’s highly specialised photolithographic process based quartz crystals, oscillators and sensors that offer very high environmental performance. As a previous division of Rakon, IQD maintains a close partnership as a worldwide channel partner supplying Rakon’s specialist high performance oscillators alongside our own range. Rakon’s world leading timing solutions are particularly suitable for synchronising connectivity in telecom and network infrastructure, GPS positioning and satellite applications.